This popular floor plan offers a three-bedroom layout with separate living and dining room areas. 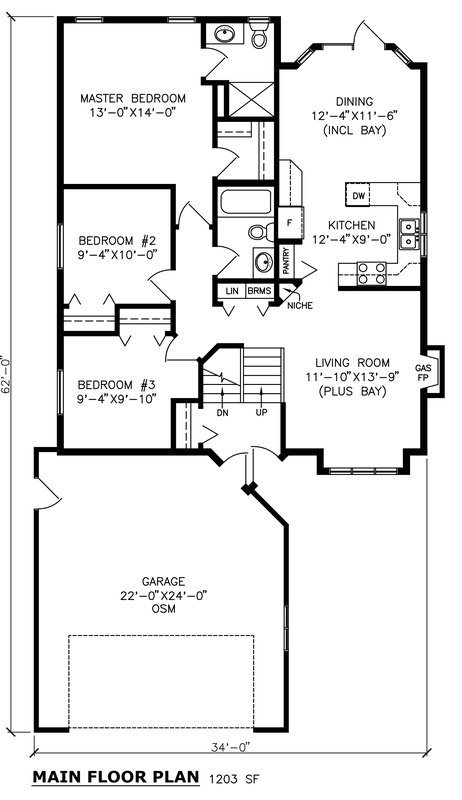 This 1203 square feet bi-level floor plan is a roomy 3-bedroom 2-bathroom home with a feature fireplace in the living room. This bi-level home can accommodate a wide range of families and would be ideal in an urban or rural setting.